International regulatory co-operation (IRC) provides an important opportunity for countries, and in particular domestic regulators, to adapt their regulations to the rapidly evolving needs of a globalised world. With IRC, regulators can consider the impacts of their actions beyond their domestic borders, expand the evidence for decision making, learn from the experience of their peers, and develop concerted approaches to challenges that transcend borders. Mexico has made active efforts to embrace globalisation in many aspects of its domestic policies, practices and institutions. 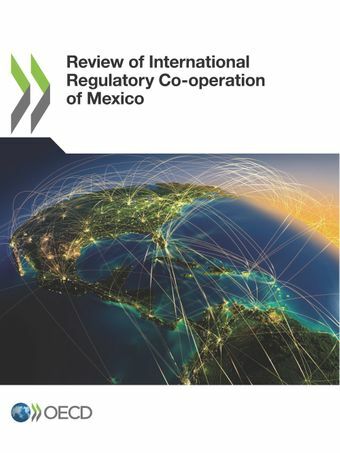 Mexico is among the few OECD countries to have a legal basis framing regulators’ consideration of the international environment. Still, the vision and policy for IRC in Mexico is fragmented across different legal and policy documents and many authorities in Mexico are involved in IRC, either by conducting IRC, overseeing its implementation, or both. Mexico has made unilateral efforts to embed international considerations in its domestic regulations through regulatory improvement disciplines. For instance, it has introduced specific procedures to assess trade impacts in the ex ante impact assessment process, used namely to ensure notifications to the WTO and thus obtain feedback on draft measures from foreign stakeholders. In addition, all subordinate regulations are accompanied by a summary in English, to facilitate their understanding by foreign stakeholders. Mexico also has a legal obligation to consider international standards in the development of technical regulations. The Mexican government and individual regulators also co-operate extensively on regulatory matters, at the bilateral, regional and multilateral levels. High-level co-operation efforts are largely driven by Mexico’s close trade and investment ties with its North American neighbours, the United States and Canada. Mexican regulators also co-operate bilaterally directly with foreign peers across the globe, going beyond economic motivations. Finally, through its active participation in a number of multilateral organisations, Mexico contributes to the design and development of international rules and standards, and ensures that its perspective and specificities are taken into account in global settings. Nevertheless, evidence shows that the effectiveness of Mexico’s IRC efforts could be strengthened. The OECD review identifies three broad areas for improvement: First, the design of a holistic, strategic vision for IRC, with clearly defined roles and responsibilities, second, through better information of relevant actors about the variety of IRC tools available to them, their applicability in different contexts and the benefits to be gained from conducting IRC more systematically, and finally with the issuance of methodologies and guidance to help regulators effectively implement IRC. For further information, please contact Celine Kauffmann or Marianna Karttunen, OECD Regulatory Policy Division.